The first iPhone was unveiled by Steve Jobs, who was the co-founder of Apple Inc, (USA) and it is absolutely simple, beautiful and magical to use. 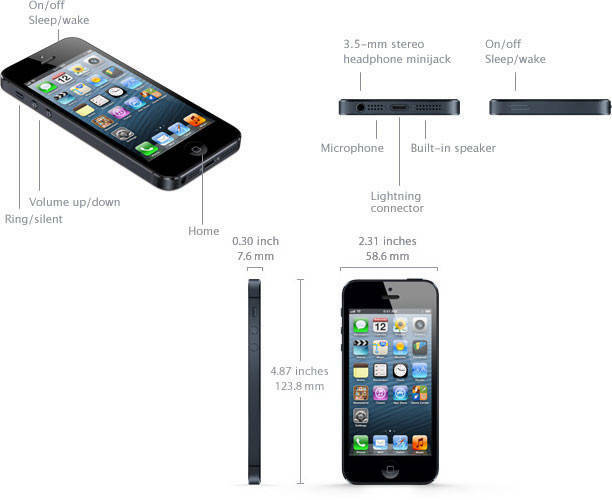 Here we are giving apple iphone 5s review with all the features, specifications and so many other details. iPhone 5s is all rounder and comes with new amazing features as touch id, with 8MP camera ,1080 video recording and with powerful processor. Touch id : it is a fingerprint sensor that which is used to unlock phone and secure privacy, that can recognize the impression of your fingers when they are placed on the home button. This smartphone by Apple will only unlock when you place your finger on the sensor. iPhone 5s is powered by the 64-bit A7 chip, which means you will be able to enjoy multimedia games with complete 3D effects and also delivers a faster CPU performance and enables users to multitask by launching more than a couple of applications at the same time. And It is having 2GB of RAM comes with internal storage with /64gb/32gb. When it comes to the battery it is having Non- REMOVABLE Li-Po 1560 mAH battery.